The town of Silent Bend is about to explode into a war. Alivia swore to take the House from Jasmine after what she did, but it won't happen without retaliation. The whole town is caught in the crosshairs of their manipulation and the body count is climbing. The explanation for Ian's change is one he just can't accept. To Alivia, it should fix all their problems, but Ian has become everything he hates most. And Liv accepting her fate and position will test their relationship to the breaking point. 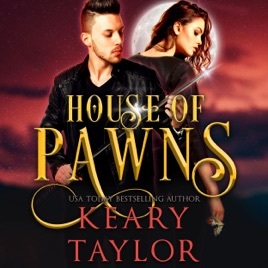 The threat of the King's arrival looms just weeks away, and Alivia knows he will kill her as soon as he comes. She'll need supporters at her side - immortal ones. And that means turning old enemies into loyal subjects.